Dr. Senge led committee members in a facilitated process to explore how people react and make decisions when faced with particular events or problems. Carefully identifying “fundamental solutions” versus the “symptomatic solutions,” often employed to quickly fix a problem, the group mapped out reasons leaders might avoid implementing the fundamental solutions. These often require deep exploration and change, re-examining patterns of behavior and embedded structures and systems. Dr. Senge shared techniques to recognize these different forms of solutions, as well as ways to move toward fundamental solutions. The Catalyzing Newport steering committee now has new tools for change, methods to bring back to their individual organizations and to bring together to build collective vision in Newport. 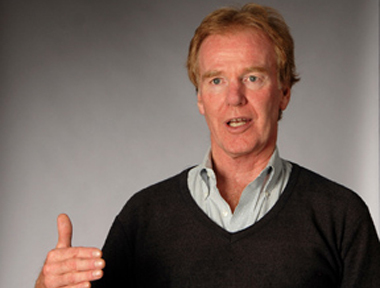 Peter Senge is a senior lecturer at MIT and chair of the Society for Organizational Learning (SoL), a global community of corporations, researchers, and consultants dedicated to building knowledge about fundamental institutional change. Noted for translating abstract ideas of systems theory into tools for change, he is the author of many articles and of the best-selling book The Fifth Discipline: The Art and Practice of the Learning Organization, named by the Harvard Business Review in 1997 as a seminal management book of the past seventy-five years.